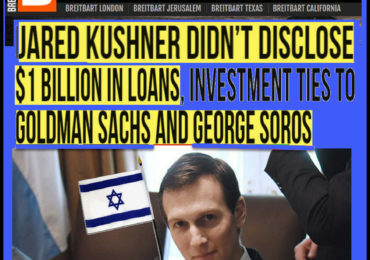 Dr. Duke and Eric Striker on Jared Kushner – Commu-Zionist anti-Trump, pro-Soros, anti-White Cesspool in the White House! 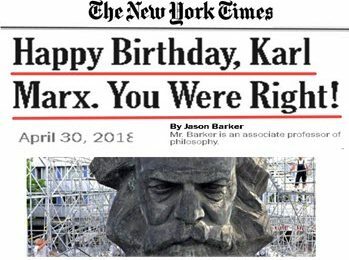 Today Dr. Duke had Daily Stormer journalist Eric Striker as his guest for the hour. They focused on revelations by the Wall Street Journal that Presidential son-in-law Jared Kushner has extensive financial links to George Soros and Goldman Sachs. George Soros was one of Hillary Clinton’s top campaign contributors, and the vampire bank Goldman Sachs even prohibited its executives from donating to Trump. George Soros is well know to bankroll everything from Black Lives Matter domestic terrorists to overseas “color revolutions,” and basically represents EVERYTHING that the Donald Trump campaign opposed. As Kushner secured his position in the White House, Trump’s policy positions have become increasingly neocon. Dr. Duke called on Trump to drain the swamp by first cleaning the cesspool in the White House and send Kushner and Ivanka back to Sachs Fifth Avenue. This is the kind of fascinating show you have come to expect. Please share it widely. Click here and look for the show dated 5-4-17. Next Post Dr. Duke & Mark Collett Urge Trump Supporters, American Patriots – to Come to New Orleans and Defend American Heritage & Free Speech!